Max Peterson is a globe-trotting techno-whiz who installs security systems on computers. In the Czech Republic he receives an anonymous gift: a phone which sends messages that enable him to win at a casino. Max soon finds himself pursed by hit men, the casino's security chief, and a CIA operative. Who's sending Max messages? Previous recipients of similar windfalls have ended up dead. 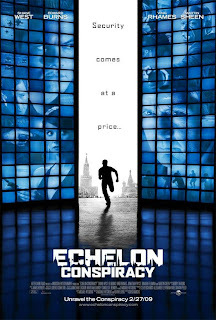 After a couple of close scrapes, Max realizes he's in danger, so he tries to find out the root of the conspiracy - which seems to have access to every security camera in the world - before he's the next victim. Why is this happening to him, and who can he trust?